In Part I of this series we learned just how important our credit rating is and the far-reaching financial consequences of our credit score. Now on to the good stuff. What can we do to improve or maintain our credit rating? What actions should be avoided? Do pay your bills on time,even those bills that might not be automatically reported to the credit bureaus such as rent, insurance, and utilities. Payment history affects about 35% of your score. Don’t allow taxes (whether real estate or income tax) to go to lien. Tax liens have a huge negative impact on a credit score, as do 90 day lates. Do have active credit card accounts. Showing that you can manage a revolving line of credit is an important piece in the overall credit history. Don’t open too many new accounts all at once. It is important for some time to pass to prove that you can handle the new debt. Do keep your credit card balances low. 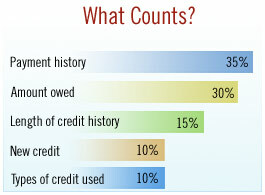 One important aspect of your score is the ratio between the balance owed and the amount of available credit. The more that is available and untapped is a sign of debtor restraint. It is best if you can keep your balance at 30% or less of your maximum credit available. Don’t close out all your credit card accounts. It may seem that paying off a card and closing it would be the “responsible” thing to do, but that can distort the balance-to-limit ratio. Do keep in mind that credit card companies can choose to drop a credit limit on a whim. What might be a good ratio today could look like excessive debt in the future. Don’t carry large balances on your credit cards. The minimum payments required have increased dramatically recently, and these payments can have a serious impact on your borrowing power when analyzing debt-to-income ratios for mortgage qualifying. Do mix things up. Having some installment debt (auto, student loans) and a major credit card along with a retail (store or fuel) card will give the lender a clear idea that you can manage different types of debt. Don’t sign up for all those retailer’s incentives. The next time you are offered a 10% discount on your $80.00 purchase, remember that you will be authorizing that cashier to check your credit. This will count as a recent inquiry into your credit report AND make it look like you are desperate for credit, reducing your credit score. Do know your score. 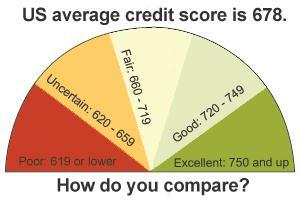 Check your credit report at least annually at www.annualcreditreport.com. Often enough, there are serious reporting errors on a credit report. Vigilantly correcting these as they come up can have you better prepared for when you are ready to get a mortgage loan. Don’t shop for a loan too long. It may seem smart to go from lender to lender, shopping for the best loan terms. The credit reporting agencies will distinguish what type of credit you are seeking (car dealers when car shopping, mortgage lenders when house hunting). If 14 days pass, and your credit is checked again for the same type of debt, the credit agency will assume, often unfairly, that you have been turned down for your initial application and had to apply elsewhere. When that next report is pulled your score will likely have decreased. Do pay your hospital bills and utility bills. Even a small balance of $25.00 can be very detrimental to your credit report if it goes to a collection agency. Don’t co-sign for friends. Not only might their monthly payment count in your debt ratios and reduce your borrowing power, but any late payments on their part will adversely affect your credit history. Do be pro-active. Build up a savings or investment account to cover at least 3 months’ of payments and expenses. Even better to have 6 months in reserves. Don’t avoid your creditors. If you are experiencing difficulties with your payments, ask them to work with you. From the bank’s perspective, silence = complete unwillingness to repay the obligation. When it comes to your credit report and score, it is important to remember that some of the best and worst things you can do are counter-intuitive. True, there is a logic behind credit scoring, but it is not always the same logic we employ in our day-to-day decisions. When dealing with credit matters, getting help from an advisor who has in-depth training in credit reporting, along with industry perspective, can be invaluable. MDI Mortgage of Maine has helped hundreds of applicants understand, improve, and maintain their credit scores. 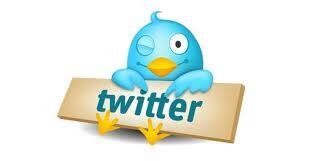 We would be pleased to extend that assistance to you, as well. It was the mid-1990’s, and I was traveling out-of-state to attend a one-day banking seminar. The topic: this new-fangled thing called credit scoring. As automated underwriting systems were beginning to take hold in residential mortgage lending, the days of extensive manual review of credit histories to determine credit worthiness were coming to end. In its place, a mysterious three-digit code based on secret algorithms would be telling us bankers what type of credit risk we should associate with our applicant. What is your willingness to repay debt? How much money can you borrow, and on what terms? Will you make a good tenant? Are you a good insurance risk? Can you be an employee who is trusted? Since your credit report has such far reaching effects, let’s learn more and debunk some popular myths while we are at it. A credit report may be several pages long, and will detail a list of items such as debt paid, open loans, credit cards, balances due, payment amounts, and collection accounts. It also gives information about your identity (names, aliases, past addresses and employers), your existing and previous tradelines (all debtors who might report to the credit bureaus), your public records (foreclosures, real estate liens, income tax liens, and judgments), and recent inquiries into your report. Because a credit report does more than just report on payments made and balances due, it is also used as a tool to combat fraud. Your creditors may report your information to one, two or all three of the credit bureaus; Experian, Equifax and TransUnion. 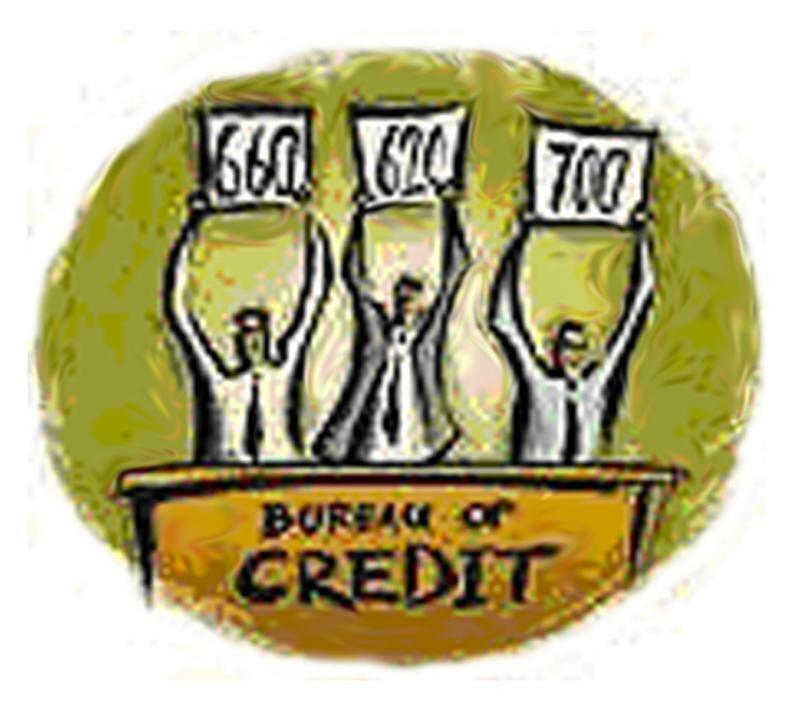 Because there are 3 bureaus, and not all have the same data to analyze or the same scoring models, the typical mortgage credit report will give three different credit scores. In mortgage underwriting, we use the middle score. The myth: A credit report does not know or comment on personal or household income. Income is not a component of credit scoring (although its excess or lack thereof may have an effect on how timely payments are made, which DOES impact the score). One more: If you are married, your credit file is not completely merged together. Only joint accounts will show on both spouses’ credit reports, otherwise, it will have completely different and individual information per spouse, with separate credit score ratings. In this case of two or more applicants, we will use the lower of the two middle scores as the credit score for the file (the thought being that the lower score will bring the higher score down instead of the higher score helping to raise the lower score up). What Does a Credit Score Try to Do? The FICO algorithms are actually trying to calculate the odds of you having a 90 day late payment in a 24 month period on a loan obligation. This is why the reporting of a payment made 90 days or more late will have such a negative impact on a credit score. A little-known fact: Your credit score is based on a snapshot in time. The score is calculated at the precise moment that your report is pulled. Even if you always pay your credit card down to $0.00 each month, if you owe a large amount on a credit card at the same time that your credit card company happens to report your balance (mid-billing cycle, for instance), your score can look very different than if you happened to have a low balance at the time of their reporting to the bureaus. Another little-known fact: Sometimes payments are made late and aren’t reported to the bureaus as a late payment. I have had customers who were very concerned about what their report might show because they were habitually making their payments a few days or even weeks beyond the due date. A late payment is not reported as late unless it reaches more than 30 days past due. Where Can I Get a Free Copy of My Credit Report? For many years, banks were not allowed to share an applicant’s credit score with them because it was considered “proprietary” information. This all changed with the FACT Act of 2003, when it became mandatory for creditors to share this score through proper disclosures to the consumer. In answer to other aspects of that new regulation, the 3 credit bureaus designed a website where a consumer could request and acquire a free credit report from each bureau every 12 months. There are a number of websites that have popped up offering this service for a fee, so it is good to know the official site: www.annualcreditreport.com. Even though the report is free, be prepared to pay approximately $7.00 to get your credit score. You can also contact them via phone at (877) 322-8228, or complete the Annual Credit Report Request form and mail it to: Annual Credit Report Request Service, PO Box 105281, Atlanta, GA 30348. While checking and monitoring your credit report is a good idea at any time, it is especially important to do so if you have recently gone through a divorce, bankruptcy, foreclosure, short sale or medical emergency. Little known fact: If you check your credit report yourself, it does not count as an inquiry on your report and you therefore do not experience any decline in your credit score. Helpful hint: You can get a copy of your credit report for free at the above website, but now here is a tip that can save you some money: Instead of using and paying for a credit monitoring service, you could pull from one bureau (Experian, Equifax, TransUnion) every 4 months. What If There are Errors On My Credit Report? You can dispute credit reporting errors yourself. The best way to dispute an item on your credit report is online. If you have pulled your own report from www.annualcreditreport.com, you will notice a tab at the top of your report that reads, “Dispute”. When you click on that tab, your report opens up and you can select the items you wish to dispute and use a drop-down menu to select the reason why this item should be removed/corrected/altered. The Fair Credit Reporting Act requires that the reporting creditor either “prove it or remove it” when a dispute is filed. Many home loan applicants have had great success getting their report to be corrected and have enjoyed a positive jump in their credit score. A little known fact: It can take a few weeks for a credit report tradeline to be updated, and then it will usually take up to another 5 weeks before the change shows up in the credit score. This is why is can be so important to work on a pre-approval prior to starting the house hunt. How Can I Stop All Those Unsolicited Credit Card Offers? 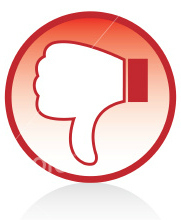 You can opt out from creditor’s marketing lists by going to www.optoutprescreen.com and submitting your information. Part II and Part III of this Credit series will continue the discussion by giving information on what hurts and what helps, and also tips on establishing (or reestablishing!) a credit history. You can also contact me, Sherri Dyer, at (207) 288-2881 as I am happy to assist by sharing this type of information in more detail and tailoring it to your own situation. With the changes in mortgage underwriting and risk-based pricing, it is more important than ever that your credit report looks spiffy! I he ard the best description of a mortgage broker recently, and the second half made me laugh out loud. This individual explained how the typical mortgage broker was once a top producer or manager of a bank. After many years of experience and leadership in that role, their entrepreneurial spirit moved them to start their own mortgage company which would then enable them to fill a need in their community. He then went on to compare us to the Special Forces, or the elite of the industry. He said we are like the Green Berets, or Navy Seals, the best of the best. After careful consideration, I see how this portrayal has some merit. What is Happening with FHA and Will it Impact You? Changes for the FHA program are on their way for April 18th. This video lays out those changes, the impact, and alternatives for borrowers and homebuyers. From the video: “In the past few years, FHA loans have seen a remarkable resurgence in popularity. When most of the low down payment and subprime loan options dissolved, many turned to FHA once again as the answer for homebuyers who might not have 5% or more to put down. This chart shows that in recent years, FHA accounts for close to 30% of the total purchase mortgage market. Is all this added business good news for FHA? Yes and no. With such demand comes pressure, and it is FHA’s capital reserves which are being pressured currently. Last fall we witnessed an increase in FHA’s monthly mortgage insurance premium, and in the middle of next month, April 18th, FHA is implementing an additional increase of .25%. What can we expect to see after April 18th? The monthly premium will be changing from a factor of .90% to 1.15%. On a purchase price of $200,000.00, this will result in a monthly insurance increase of $40.21 per month. Now, $40 may not be considered a great deal of money by some, but it is worthy of some attention if you are about to apply for financing using an FHA guarantee. If that is the case, it is highly recommended that you apply soon so that an FHA case number can be ordered for you prior to April 18th. Here’s another way to look at it. If you were able to spend the extra $40.21 per month as a principal reduction instead of paying for insurance, you would save just under 3 years on the life of your loan, or approximately $15,000 in finance charges over the life of the loan. It is interesting to note that the cost for PRIVATE mortgage insurance, unlike FHA, has been steadily decreasing recently. For a similar loan amount, the factor would be .67%, or $107 per month instead of $185 per month with an FHA loan. Also, FHA has an upfront premium of 1% and the private mortgage insurance does not, so that is an additional savings. With the private mortgage insurance, however, the typical down payment required is 5% instead of 3.5%, and it must be from the borrower’s own funds instead of from a documented gift like the FHA program allows. With so many changes occurring in the mortgage world, seemingly at the speed of light, it is so beneficial to have a trusted advisor and partner looking out for your best interest. At MDI Mortgage, we are happy to review many different loan options with you, making sure that your financing solution is optimal for your entire financial picture and future direction. Just What IS Mortgage Insurance, Anyway? What does mortgage insurance do? How much does mortgage insurance cost? Will I need to pay for mortgage insurance? Can I ever get rid of mortgage insurance? The truth is, it is not only borrowers who find themselves mystified when it comes to the topic of mortgage insurance; many loan officers and bankers struggle with the same questions, so you are not alone. It’s time to solve the mortgage insurance mystery! What is mortgage insurance and what does it do? Mortgage insurance is a protection for the bank. It is a policy that allows the mortgage lender to recover part of their financial losses if a borrower fails to re-pay a loan and the lender suffers a loss on the foreclosure. For some background: Banks will usually ask that the borrower have 20% down payment or equity in their property. Why? This equity cushion can help the bank in the event of foreclosure. For example, if someone has a mortgage at 80% of the fair market value, and they default and the property is eventually foreclosed on and the bank tries to sell the home at auction, theoretically they can sell the property for an amount to cover the loan, the accrued interest, any late fees, attorney charges and legal fees, etc. It also can afford limited protection for the bank in the situation of declining real estate values, a climate that we have been dealing with since late 2007 in certain areas of the country. There is also the real and psychological benefit of “skin in the game”, also known as the borrower has more to lose and therefore might work harder to keep their home. Many homebuyers do not have 20% or more to put down when they purchase a home, and that is where the real beauty of mortgage insurance shines. A loan can be done with less than 20% if the bank can obtain mortgage insurance to cover potential loss. Mortgage insurance is not property insurance or hazard insurance, it does not protect your real estate. It is not a life insurance which will pay the balance of your loan in the event of death, it is not a disability insurance which will make your payments in the event you are unable to work. It does not protect you in any way. It does nothing for you, EXCEPT, it does give you a house to live in now, even if you do not have 20% saved or access to a gift of 20%. VA funding fee for 0% down loans = 2.15% of the loan amount (which can be financed), no monthly insurance payment added. (For example, a loan amount of $200,000 x 2.15% = $4300 upfront cost + $200,000 = $204,300 total loan amount, amortized over loan term at going loan rate). RD funding fee for 0% down loans = 3.50% of the loan amount (which can be financed), no monthly insurance payment added. (For example, a loan amount of $200,000 x 3.50% = $7000 upfront cost + $200,000 = $207,000 total loan amount, amortized over loan term at going loan rate). There also exists an option for Lender-Paid mortgage insurance, which will forgo the monthly mortgage insurance premium, but the interest rate might be higher by .25%. *as you can imagine, there are many variations which can affect the cost, either positively or negatively, but the data provided does at least serve as a good overview. The best way to avoid mortgage insurance is to have a down payment large enough to avoid the need of insurance, or have sufficient equity if you already own the property to be mortgaged. Other alternatives exist using gifted funds, seller funded second mortgages, or using equity in other real estate owned. If mortgage insurance is needed, even though it is for the benefit of the bank, the cost gets passed along to you. The lender-paid mortgage insurance option doesn’t require that you pay for the insurance per se, but you are basically paying for it through a higher rate to the lender. Yes! The Homeowner’s Protection Act of 1997 made it mandatory that lenders drop the private mortgage insurance from loans that had a history of being paid as agreed, once they reached a 78% loan-to-value. At an 80% loan-to-value, the borrower can actively request that the insurance be dropped and not have to wait for the automatic release from insurance at the point of 78% LTV. (This is advised as it could save 1-2 years of insurance premiums!) The downside is that the loan-to-value calculation is based on the original acquisition cost, or appraised value from when you first were granted your loan. If you have done improvements to your home, or you feel that the value has increased through regular market appreciation, you may want to ask that a review be done to see if you might be at an 80% or lower loan-to-value based on the current value. The funding fee charged at closing by the VA and RD is non-refundable, even if you pay the loan in full one month after closing. A portion of the FHA upfront fee might be credited if you have an older, existing FHA loan and you refinance into a new FHA loan. *note, mortgage insurance premiums may be tax deductible based on income requirements, etc. Deciding on the best option for you is an exercise in analyzing your current budget requirements, probable length of time you will keep the home, probable length of time you will keep the loan, projected prepayments on principal, possible property appreciation, and the likely “freedom date” where you might be at a loan-to-value of 80% or lower. This is an area where your mortgage advisor can add significant value by suggesting your most advantageous options. Not everyone loves to talk about mortgage insurance, but at MDI Mortgage, we sure do! Please let us know what additional questions you may have – we are happy to help and are always ready to decipher the jargon! From starting out as government entities, then changing to privately owned, government-sponsored agencies, and now to being held in conservatorship of the Federal Housing Finance Agency (a/k/a “the government” again), the mortgage giants Fannie Mae and Freddie Mac are about to be reinvented once more. This Friday, the Obama administration will issue their “white paper” proposal with options for reducing or eliminating government involvement with the Federal National Mortgage Association (Fannie Mae) and the Federal Home Loan Mortgage Corporation (Freddie Mac). While any changes may be over the course of a few years, there is no question that we are at the cusp of a new era in mortgage finance and homeownership. Any proposed changes have the potential to affect everyone who owns a house, wants to own a house, has friends, or relatives, or neighbors, or a boss, who own a house. What I’m trying to say is, this is BIG! The impact from the decisions being made could have HUGE repercussions throughout the economy. We will help decipher the jargon! Need instant notice? Enter your email address to subscribe. Remember to watch your inbox for the return email to click and CONFIRM your subscription! YES PLEASE! Sign me up! Find us out there Socially!